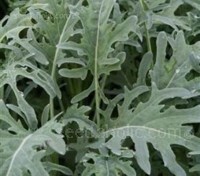 Turkish Rocket is a robust, fast-growing plant and a great, herbaceous addition to permaculture projects, it is one of the most hardy and long-lived of all winter salad greens. It is blessedly simple to grow. Easy to raise, never needs weeding or watering and goes on for ever. 'Strawberry Spinach' or 'Strawberry Sticks' is a curious plant that is enjoying something of a resurgence, The berries make a colourful and edible accent in the garden and in salads and the greens are deliciously edible in salads or as a pot herb. Organic Seed. 'Strawberry Spinach' or 'Strawberry Sticks' is a curious plant that is enjoying something of a resurgence, The berries make a colourful and edible accent in the garden and in salads and the greens are deliciously edible in salads or as a pot herb. 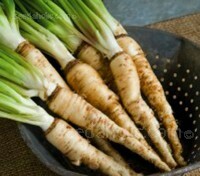 Scorzonera is a root vegetable with an awkward name and an ugly appearance but with a delicious oyster-like flavour. ‘Duplex’ is a fine selection with long, truncated roots with a deep black skin. The root is considered to be finer textured, and remains so further into the winter. 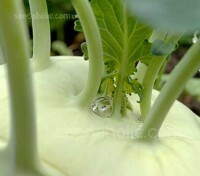 The plants can be also be grown for perennial greens. 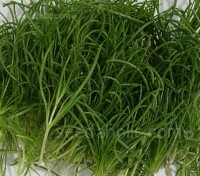 Salsola komarovii, popularly known as Okahijiki is considered to be one of Japan’s oldest vegetables. A gourmet specialty, it is found in the wild growing in salt laden coastal marshes. A first tentative taste of a sprig reveals a surprising texture, the tubular leaves and branched stems are juicy with a crisp texture and salty flavour. 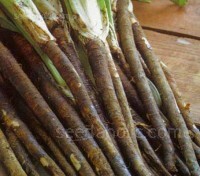 Salsify may be a chic new vegetable with the foodie crowd but it just happens to be an old-fashioned heritage root crop. This unprepossessing Mediterranean winter vegetable has a delicate taste, ever so slightly sweet, some say slightly reminiscent of oysters, so much so that it is also known as the 'oyster plant'. This incredibly succulent, melt-in-your-mouth raw salad green has recently gained popularity in the gourmet greens world, attracting both world class growers and chefs. Best used fresh and tiny, these elegant leaves bring a rich, tart-creaminess to delicate, micro-green salads. 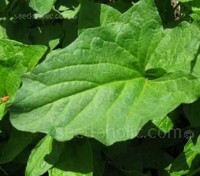 This highly esteemed ancient crop can be used raw in salads, sautéed as a side dish or cooked like spinach. 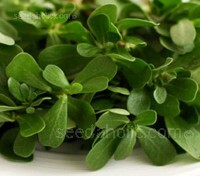 Summer Purslane has a crispy texture you would expect from a succulent and an interesting nutty, peppery flavour. It is salty on the tongue. Summer Purslane was highly esteemed and cultivated in Europe as far back as the Middle Ages, but is now cultivated only for specialised connoisseurs.This wonderfully succulent and cooling herb has tangy leaves make a very nice contrast, in texture as well as taste to other salad leaves. Lemon grass is widely used as a herb in Asian and Caribbean cooking. It has a citrus flavour and can be dried and powdered, or used fresh. 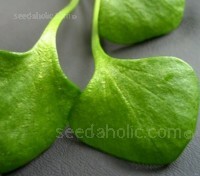 It is commonly used in teas, soups, and curries and is also suitable for poultry, fish, and seafood. 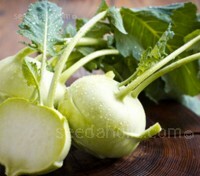 Kohl Rabi ‘F1 Korfu’ is a light green skinned variety. This versatile hybrid is suitable for both forcing and for year round field production. It can be planted under cover for extra-early harvesting. This slow-bolting, quick maturing variety is highly resistant to stem splitting, lignification and over-enlargement. 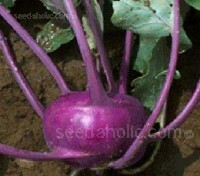 Kohl Rabi ‘F1 Ballot’ is an early maturing purple variety. 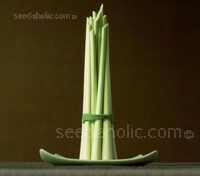 With round shaped stems and good quality, delicate flesh, it is resistant to bolting, stem splitting and lignification. Ballot is an F1 hybrid with good quality, delicate flesh; they are juicy, sweet and crunchy. Time to maturity is typically 75 to 80 days. 'Delicacy White' is much improved over the previous Vienna varieties, producing pale green globe shaped roots with a crisp white flesh.Sow from late February to the end of August for a continuous supply. “Delicacy White” is an ideal companion to “Delicacy Purple” as it matures a little earlier. 'Delicacy Purple' is much improved over the previous Vienna varieties, producing a crop that is slightly more tender and with more flavour, it has good standing ability, is low growing and matures quickly, progressing from sowing to harvesting in a couple of months. 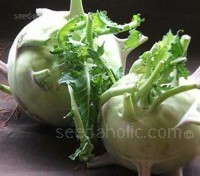 Kohl Rabi 'Noriko' is a pale green skinned variety of Kohl Rabi. This bolt resistant variety produces uniform plants of high quality for May to October production. 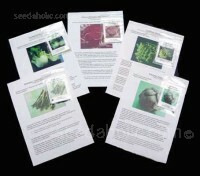 Logo can be harvested when small for use as a baby vegetable or grated on salads. The leaves are also edible. Organic Seed. 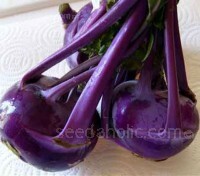 ‘Azure Star’ is a highly regarded purple kohlrabi from Europe, considered to be one of the finest. 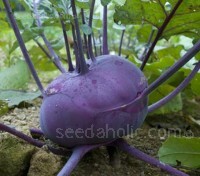 It is the earliest blue-leaved, purple Kohlrabi and is also the most delicious. Raw or cooked, it is superb eating, Azure Star sets a new standard for excellence. Organic Seed. Until recently Cavolo Nero, or 'Tuscan Kale', was one of Italy's best kept secrets. Simply adored, especially in the north of Italy, it has been an essential fare of traditional dishes for centuries. Cavolo Nero can now be found in garden markets, specialist greengrocers and trendy restaurants throughout Europe. 'Jagallo Nero' is a cut leaf form of Cavolo Nero, the more familiar Italian black cabbage. The deeply indented, blue-grey leaves combine a delicate cabbage flavour with a crunchy texture. 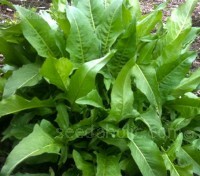 Suitable for baby salad leaf and ideal for winter salads. 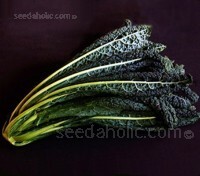 Kale 'Black Magic' is an improved Italian Black Kale, bred to be more tender with better flavour. 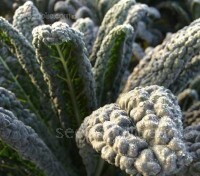 The winter hardy plants more cold tolerant, vigorous and slower-to-bolt than other Italian kales. They form an easy-to-harvest rosette of very dark, savoyed leaves with a flavour that is rich and mild. With deeply cut, slate green oak-like leaves ‘Red Russian’ is one of the tenderest and sweetest kales available. Sow under cover in autumn for baby leaves after four to six weeks, or directly outdoors for over-wintering. 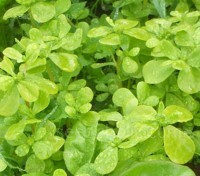 This hardy crop can provide nutritious leaves even in the depths of winter. 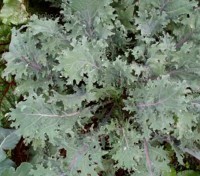 Kale 'Red Ruble' is a red, Russian-type kale that has been specially bred for the salad leaf market. 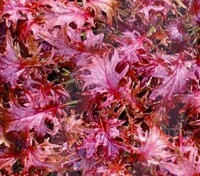 Its beautiful wine-red serrated foliage makes a quick growing colourful tasty salad leaf. Grown year-round on a windowsill and picked young and small, they can be added to lettuces to make your own mesclun mix. The Gourmet Gardeners Collection is a collection of five of the more unusual vegetables, designed to inspire food connoisseurs and vegetable growers alike. All are great delicacies and none are difficult to grow. 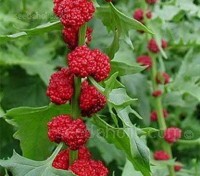 Good King Henry has been used as a vegetable for centuries and was once a common sight in every garden. Good King Henry may have lost his court and become something of a rarity today, but this unique herb has much to offer to the home or cottage gardener. Organic Seed.